I like to participate in life rather than be a spectator. Music, dancing, theatre, travelling, food, cycling and walking are some of my passions. Writing is an enjoyable pastime that allows me to share my experiences. Flemington Markets Sydney is the home to Australia's largest wholesale supply of fresh flowers to florists and floral designers. The growers supply florists in the Sydney area, regional NSW and the ACT and the market is also open to the general public. 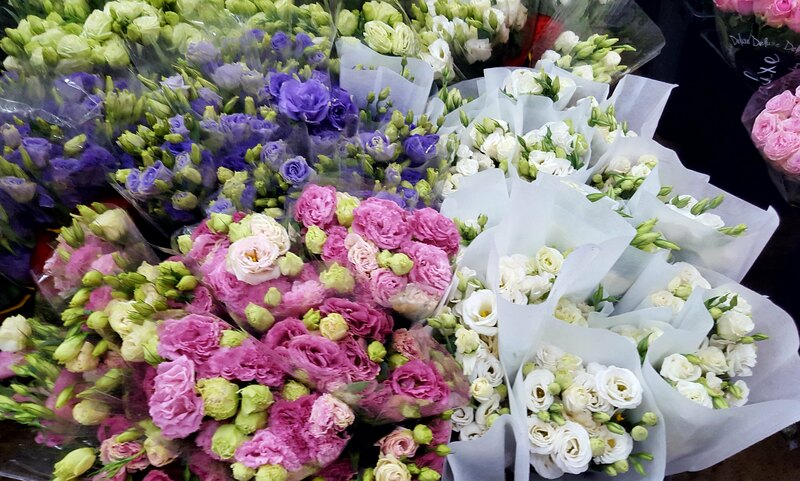 Potted plants and florist supplies such as ribbon, wrap, wire and foam are also sold. 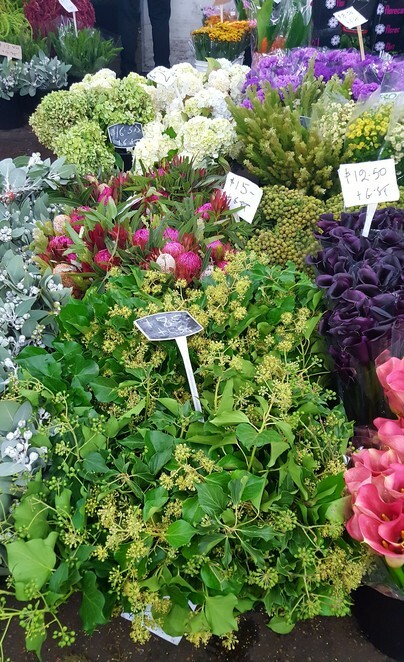 Sydney Flower Markets is located in Building F (for flowers) in the busy large market complex. Although open until 11am, most stallholders start packing up by 8:30am, so get in early to see the biggest range and best of the stock. A visit here is an exercise in sensory overload, the bright colours and heady fragrance of the flowers are overlaid with a blanket of busy noise from beeping forklifts and the shouting of traders. 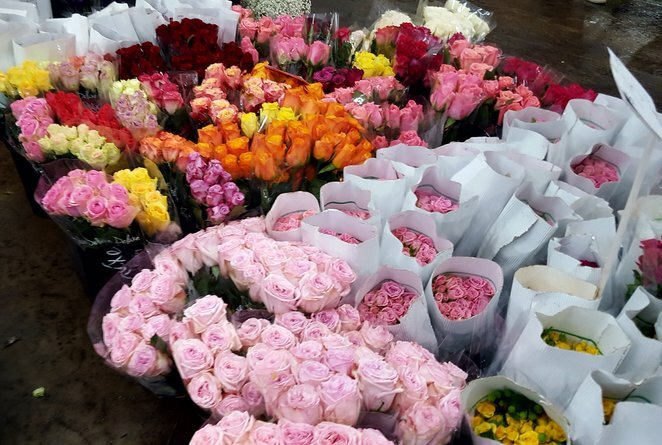 All of the 170 traders in the Sydney Flower Market must be flower growers and many traders also act as wholesalers or agents for other growers throughout Australia. The main growing areas in NSW of the Central Coast, around Horsley Park and Leppington, and in the Hills area at Dural and Glenorie are within 2 - 3 hours travel of the markets, ensuring that fresh cut flowers are brought in daily from these farms. Monday, Wednesday and Friday are the busiest days for trade customers, with Saturday the most popular day for public sales. Parking is mainly reserved for traders but there may be some spaces available on upper levels of the carpark for $10. You can arrive at Flemington by train, walking via marked pedestrian walkways and bridges. Take care as it is very busy, it is a good idea to wear covered shoes and wear some hi-vis clothing if possible and don't bring children or pets. 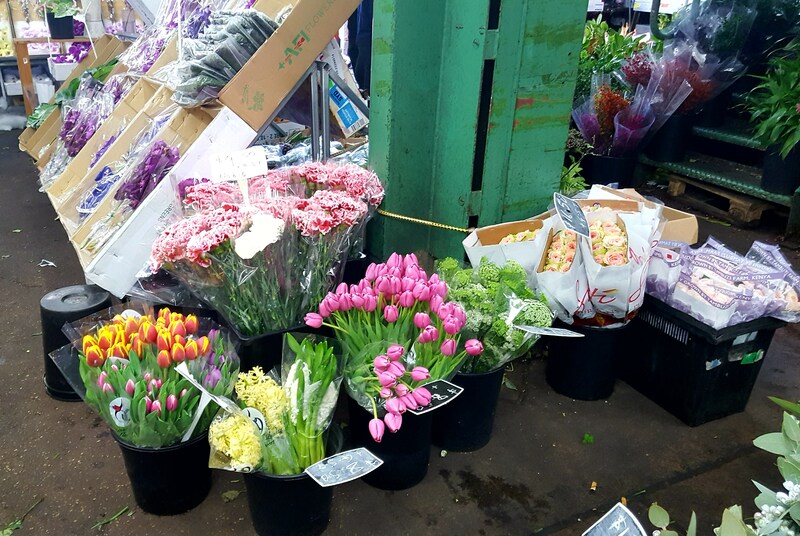 If you intend on coming, ensure you are prepared by knowing that what you are looking for is available as flowers are seasonal and bring a trolley or buckets in order to transport your purchases home. Do a walk through and try to strike up a friendship with the suppliers as they will give you some great advice and make sure you bring plenty of small money as the growers generally deal in cash. 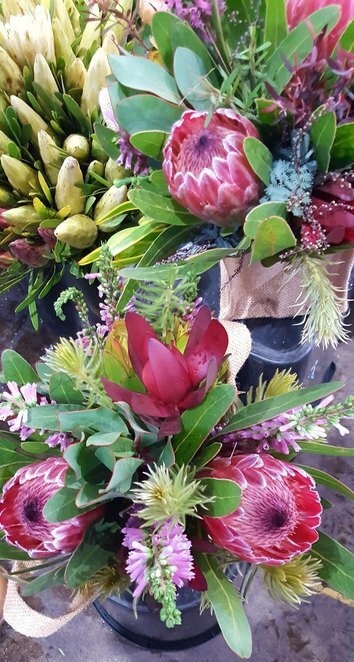 Bag yourself a basket of bargain blooms!